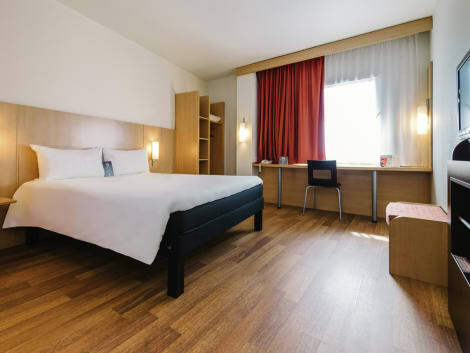 A stay at Hostal Nersan II places you in the heart of Madrid, within a 15-minute walk of Paseo de la Castellana and National Library. 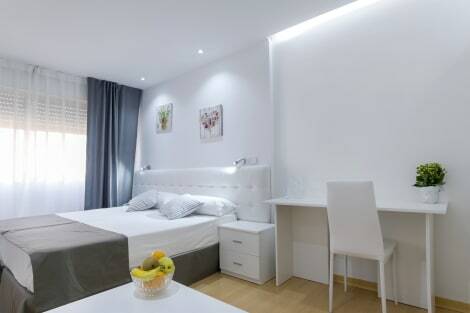 This hostal is 1.2 mi (1.9 km) from El Retiro Park and 1.5 mi (2.4 km) from Gran Via Street. These functional apartments and studios lie just off the prestigious Calle Serrano, offering spacious and independent accommodation right in the commercial heart of Madrid. Each room comes with its own kitchenette, allowing you to prepare your meals as and when you like. Its air-conditioned accommodation also includes a TV, wifi and full bathroom. Salamanca district, is an important commercial and business area set around the grand Paseo de la Castellana. Convenient public transport – including the Metro from nearby Nuñez de Balboa Station – means you can easily travel around the Spanish capital. Salamanca is a great choice for travellers interested in shopping, culture and gastronomy. The Hostal Maria Luisa is a smart 2-star hostel that's ideally located for exploring Madrid's nightlife. Just a couple of minutes' walk from the Gran Via Metro, the hostel is very close to the lively area of Chueca, famous for its nightlife. Each room is fitted with a tv and private bathroom with tub, and free wifi is available throughout the hostel. Make yourself at home in one of the 16 guestrooms. Make yourself at home in one of the 16 guestrooms. The Maria Cristina guesthouse can be found just 250 metres from Gran Via Metro Station, in the heart of Madrid. All of the air-conditioned rooms have free Wi-Fi and TV. All rooms in Maria Cristina have private bathrooms with hairdryers. They also have windows, a telephone, radio and a work desk. The guesthouse has 24-hour reception, as well as a safe and luggage storage. There is a drinks vending machine in reception. The Maria Cristina guesthouse is just 5 minutes’ walk from the centre of lively Chueca, as well as 500 metres from the Puerta del Sol. Gran Via, with its shops, theatres and entertainment, is just 3 minutes’ walk away. Hostal Splendid occupies one of the most beautiful historic buildings in the center of Madrid. Located in the heart of Gran Vía is a perfect choice if you want to discover different facets of the Spanish capital. Partially renovated, this accommodation offers rooms with private bathroom, flat-screen TV, safe (payment) and air conditioning (summer). Some of the double rooms have a terrace overlooking the Gran Vía. 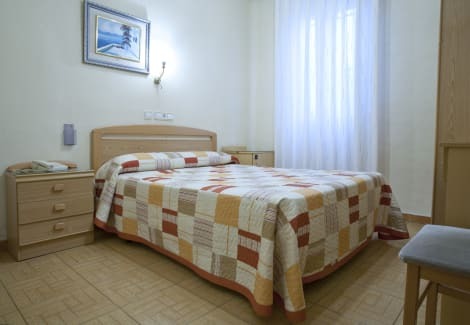 Hostal Splendid is centrally located, close to many museums, theaters, restaurants and bars. It is also very well connected by public transport (Metro "GRAN VIA" and buses 1, 2, 74, 146). Hostal Splendid is 500 m. away from the Puerta del Sol, 500 m. from the Plaza de Callao, 650 m. from Plaza de Cibeles, 1 km. from the Plaza de España, and 1.1 km. from the Puerta de Alcalá and the Retiro Park.